The murder suspects recently arrested by the Kwara State Police Command in Ilorin last week and transported to Abuja, have named the Senate President, Bukola Saraki, Kwara State governor, Abdulfattah Ahmed, as their sponsors. This was contained in the confessional statement made by the suspects, according to SaharaReporters. The suspects also said that they were being paid from the Office of the Senate President, who allegedly gave them Toyota Corolla cars a few months ago as a way of securing the loyalty ahead of the 2019 elections. The suspects, in their statement, reportedly said those marked on their list for execution before the election are: Kayode Oyin, Yinka Aluko, Baba Rex, one Mustapha and one Ogunlowo. A Police source told the online platform that bank statements retrieved from the suspects indicated that they received money on a monthly basis from Saraki and the Kwara State government. According to the report, the Senate President and Ahmed may soon be invited by the Police. 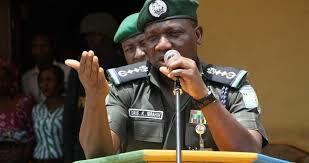 Owojela’s Blog recalls that the Senate President had on Wednesday raised an alarm during plenary of a plan by the Inspector General of Police, Ibrahim Idris to implicate him using some arrested murder suspects.